Renewable energy is novelty energy. The windpushers have known this all along, but keeping people “in the dark” about the truth, is all that has allowed them to continue the scam! When a mass blackout thrusts your State onto the international stage, as an outrageous possibility, there just could be a little something wrong with your energy policy. Here’s the view from the USA. 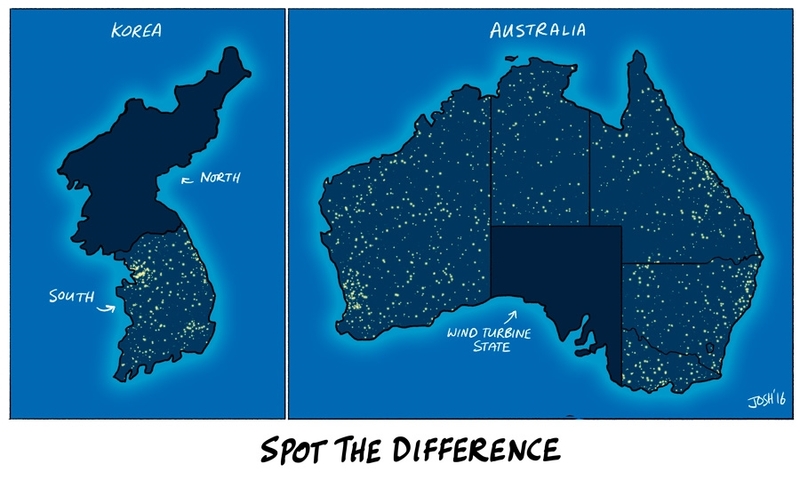 South Australia is still struggling to figure out how to keep green energy from triggering blackouts and crashing the electric grid, according to an article published by Inverse Tuesday. The Australian state invested heavily in solar and wind power, but those power sources’ inherent reliability issues place a massive strain on the state’s power grid, according to the article.